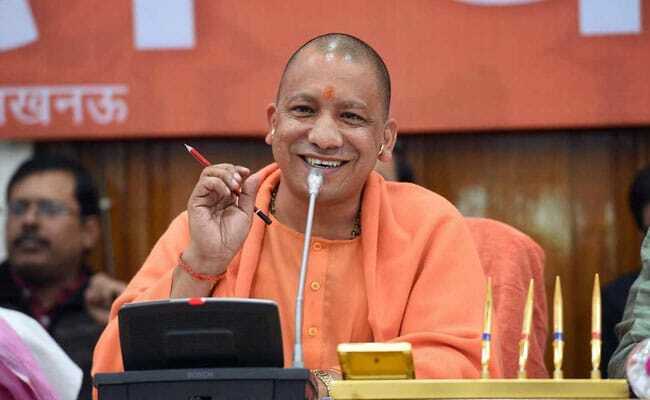 The Gorakhpur constituency is of special significance to Uttar Pradesh Chief Minister Yogi Adityanath, as he won the Lok Sabha seat five times. Uttar Pradesh's Gorakhpur constituency is set to go into polls today, in a contest that turned equations around for two major political parties in the state. The Samajwadi party (SP) and the Bahujan Samaj Party (BSP), have now become foes-turned-friends, for the first time in 25 years. This, with the objective to make the BJP pay for its spectacular show in the 2017 Uttar Pradesh Assembly elections when it had won 325 of the 403 seats, giving the regional parties a drubbing in the state. The Gorakhpur constituency is of special significance to the BJP in general and Uttar Pradesh Chief Minister Yogi Adityanath in particular, as he has won the Lok Sabha seat five consecutive times, registering a 50 per cent vote share in the last three elections. He had to vacate his seat after he became chief minister. Before him, Mahant Avaidyanath, Yogi Adityanath's mentor and head of the Gorakhpeeth, represented Gorakhpur from 1989 to 1998. When is the Gorakhpur by-election being held? The Gorakhpur by-election is being held on Sunday, March 11. When will the Gorakhpur by-election results be announced? The Gorakhpur by-elections will be declared on Wednesday, March 14. What segments does the Gorakhpur constituency consist of? The Gorakhpur parliamentary constituency consists of the segments of Caimpiyarganj, Pipraich, Gorakhpur Urban, Gorakhpur Rural and Sahajanwa. How many polling centres and polling booths will be there in Gorakhpur? Gorakhpur will have 970 polling centres and 2,141 polling booths. Steps have been taken for webcasting from 95 critical booths from both Gorakhpur and Phulpur constituencies. How many voters are there in the Gorakhpur constituency? There are 19.49 lakh voters in the Gorakhpur parliamentary constituency, according to Election Commission data. How many Voter Verifiable Paper Audit Trail (VVPAT) machines will be used in the Gorakhpur and Phulpur by-elections? 4,728 VVPAT machines will be set to be used. These machines are used to verify that the vote polled by the voter has gone to the voter's desired candidate. Why are elections being held for Gorakhpur's Lok Sabha seat? BJP's Yogi Adityanath had to vacate the Gorakhpur seat when the party won the Uttar Pradesh elections in 2017 by a landslide after which he subsequently became Chief Minister. How many candidates are fighting for the Gorakhpur by-election? There are a total of 10 candidates fighting for the Gorakhpur by-election. Upendra Shukla is contesting the Gorakhpur by-election from the BJP. He is seen as being instrumental in the party winning huge victories in Uttar Pradesh's Purvanchal region in last year's assembly elections. The Congress has fielded Suhita Chatterjee Kareem as its candidate, while the SP is contesting the Gorakhpur election with the Peace Party and Nishad Party, which has fielded Praveen Kumar Nishad as its candidate. Why does the Gorakhpur Lok Sabha seat hold significance? The Gorakhpur seat is important for the BJP largely because it is the home turf of Chief Minister Yogi Adityanath, a seat from where he has never lost an election since 1998 when he first contested the Lok Sabha elections. And it is this prestige associated with the seat that would make a win for the Samajwadi Party-led opposition particularly sweet.